I request prayer that God stops the divorce of Angela and Derrick Williams of Palatka, FL and return my husband back to me. 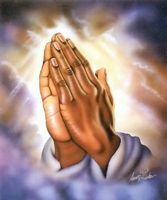 Please pray that God send his angels to remove Satan out of this relationship and allow his ex-wife to depart from him. Please pray that God humble Derrick's heart and give him clear knowledge that his past relationship is over and God has blessed him with a Christian wife who loves the Lord and believes in committment to our marriage vows. Pray that this seperation will draw us closer to God and that this miracle can be a testimony that God truly answers prayers. I think you have made a story of your own, how is it possible that you spell out some words and claim it to be something miracle? As a professional writer at do my homework for money i can't believe this whole thing, maybe it had happened with you but i haven't heard something like this before. My name is Jessica Ruiz from Florida I have to give this miraculous testimony, which is so unbelievable until now. I had a problem with my Ex husband 2years ago, which lead to our break up. when he broke up with me, I was not my self again, i felt so empty inside me, my love and financial situation became worst, until a close friend of mine Lucy told me about a spell caster who helped her in the same problem too his name is Dr Shiva at hinduspelltemple@yahoo.com . I email Dr Shiva the spell caster and i told him my problem and i did what he asked of me, to cut the long story short. Before i knew what was happening my husband gave me a call and told me that he was coming back to me in just 2days and was so happy to have him back to me. We have two kids together and we are happy with ourselves. Thanks to Dr Shiva hinduspelltemple@yahoo.com for saving my relationship and for also saving others own too. continue your good work, If you are interested to contact him and testify this blessings like me, the great spell caster email address is hinduspelltemple@yahoo.com you are the best among all the spell caster online I hope you see my testimonies and also pray for my family too. I'm sorry for my part in your divorce.please forgive me.